If you’re registered to attend DriveWorks World make sure you choose which sessions you would like to attend. Personalise your agenda to learn what’s relevant to you and your DriveWorks projects. 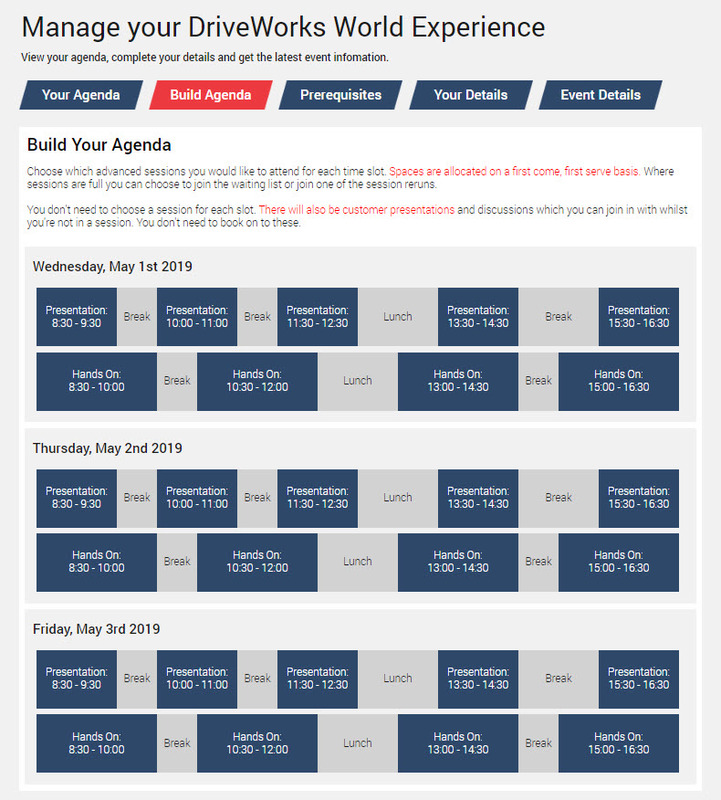 Manage your agenda in the DriveWorks Community, make sure you choose your sessions by Thursday, 18th April. Choose Your Training Option for Monday and Tuesday. These lessons focus on using DriveWorks Pro to automate SOLIDWORKS and as a configurator. Join this training if you are quite new to DriveWorks, need a refresher or want to become a Certified DriveWorks Professional (CDWP). 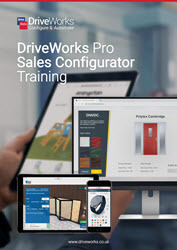 This training focuses on the Sales Configurator aspects of DriveWorks, without automating any CAD. 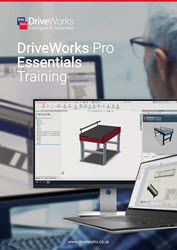 Join this training to learn how to use DriveWorks without automating CAD, or just learn something new if you’re already certified! Choose Your Advanced Sessions for Wednesday to Friday. Choose which advanced sessions you would like to attend for each time slot. Some sessions are hands-on and others are presentations. The sessions cover a variety of topics and at different skill levels. Spaces are filling up fast so make sure you secure your spot! You don’t need to choose a session for each slot, make sure you leave some gaps to watch the customer presentations and join in with other discussions. Build Your Agenda closes on Thursday, April 18th so make sure you have chosen your sessions before then!